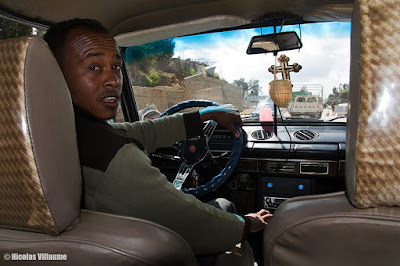 The LCS team arrived in Addis Ababa on Saturday 13 September 2008. Darout and Wondimu met Paul Rankin who arrived earlier in Ghion Hotel, and had a talk on LCS’ and ILCA’s missions with him that evening. Nicolas Villaume arrived late in the evening, and joined the team the next morning. The visit began on Sunday 14 September 2008 and ended on Saturday 27 September 2008. The whole program was planned on a daily schedule. Each day’s accomplishments are described below.